So last night I was fortunate enough to see the midnight showing of the new re-imaging/remake/reboot/re-whatever of Friday the 13th. The theater was about 3/4 full of mostly eager teens excited to see the newest installment of one of the most popular horror franchises of the last 30 years. As the lights went down after the seemingly endless barrage of previews, the momentous occasion began. Friday the 13th begins in 1980 with a killer running loose at a summer camp. 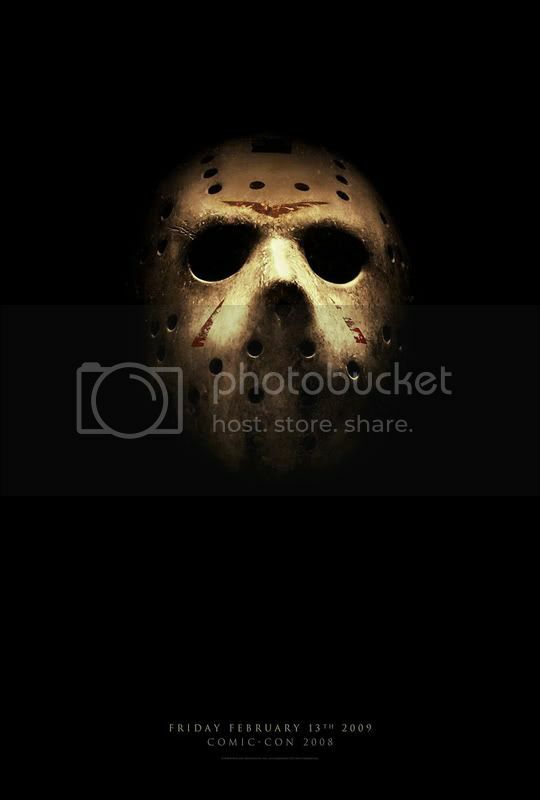 It is soon revealed to be Pamela Voorhees who is avenging the death of her mentally retarded son Jason caused by the negligence of a group of camp counselors. After one of the counselors kills Mrs. Voorhees, we discover that young Jason is still alive. Now it's his turn to get revenge. After years of living in the woods surrounding Camp Crystal Lake, Jason emerges and attacks a group of teens in search of a huge crop of weed hidden near the camp. Soon after, another group of co-eds come to stay at a nearby cabin and one by one they start getting knocked off by Jason. Can the brother of one of Jason's supposed victims be their only hope? Well Jason, it's good to have you back. The biggest complaint most people will probably have is that the film is just more of the same. Jason stalking promiscuous teens in the woods. At the same time though, that is what the whole series is and that's what makes it popular and so beloved by fans. Without that basic outline it just wouldn't be a Friday the 13th film. Marcus Nispel's direction serves the film very well, not too far off from his ultra-gory Texas Chainsaw Massacre remake from a few years back. The film is very dark, there is lots of gore, T&A, and best of all - legitimate scares. The cast all do a decent job and the dialogue is surprisingly funny. It would have been nice if there were a few twists and it wasn't completely predictable, but I guess we'll just have to wait and see what direction the series goes. The shower curtain scene was my favorite.